AHS DECA team members were just awarded and are now headed to State! 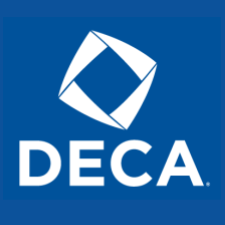 Congratulations to Alcoa High School DECA members as 19 of 23 students will be advancing on to the State Competition in Chattanooga, TN. A special shout out to Valerie Fryer who took home 1st place, Iman Coffin 2nd place and Andrea Velasquez 3rd place.